Are you looking for fiberglass pipe suppliers whose products guarantee performance and easy installation? Are you tired of the inefficiency of traditional piping materials and their costly repairs? Maybe you’re searching for industry standards or technical white papers on a specific topic. If any of the above applies, you’ll find Fiberglass Tank & Pipe Institute to be a valuable resource. We’re here to support your use of fiberglass products, as a manufacturer, distributor, end-user, or anything in between. If you need to find a supplier, click to our Members page and browse the featured companies. We require select criteria to be met by our members, above and beyond industry standards, so you can depend on them and their services. Whether you need composite pipe and fittings engineered for a specific job or a complete system, you’ll have no problem connecting with a supplier who can address your demands. Fiberglass products are generally lightweight, durable, versatile, corrosion-resistant, easy to install, and environmentally-friendly. This makes them an economical choice, especially in comparison to traditional alternatives. The longevity of fiberglass systems is nothing to overlook, either. You can typically expect original installation to perform successfully for decades. When it comes to demanding applications and harsh environments, there is no room for setbacks. No matter the industry, be proactive and trust fiberglass pipe technology. Our members supply a comprehensive product list for your one-stop shop. 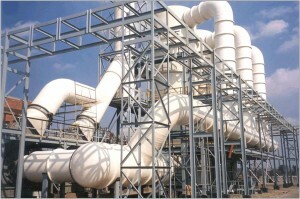 From the electrical industry to the oil and gas business, and across an array of other sectors, piping and storage solutions are increasingly including fiberglass materials. If you’re interested in minimizing operation costs and reducing repairs, contact a Fiberglass Tank & Pipe Institute supplier today. You could be just a couple of clicks away from ordering high-quality pipes that meet your needs. Fiberglass affords an economic advantage that you can’t replace.